Zeppie C. Moffitt, 94, of Fall Branch, passed away at the home of her daughter on Thursday, November 15, 2018, in Fall Branch. She was a native of Newland, NC, and the daughter of the late Elbert Cole and Pettie Pritchard Cole. Zeppie was a homemaker and former employee of Glora Rayon in Johnson City, TN, making cloth for parachutes during World War II. She attended Fall Branch United Methodist Church. She loved gardening and cherished her family. In addition to her parents, Zeppie was preceded in death by her husband, Donald W. Moffitt and twelve brothers and sisters. She is survived by a daughter, Judy Denton and husband, Daryl of Fall Branch; sons, Jerry Moffitt and wife, Deborah of Fall Branch, and Jack Moffitt and wife, Carolyn of Fall Branch; sisters, Ira Anders of Haw River, NC, and Elizabeth Daniels of Newland, NC; grandchildren, Steve Moffitt and wife Holly of Jonesborough, Buffy Sanders of Fall Branch, Jeff Moffitt and wife, Michelle of Fall Branch, Robbie Moffitt of Fall Branch, Lara Denton-Ayres and husband, Preston of Gray, and Ryan Denton of Manchester, TN; eight great-grandchildren; and many nieces and nephews. The family would like to thank Smoky Mountain Home Health and Hospice for their loving care of Zeppie this year. Caregivers include Patsy, Kelly, Melissa, and Carey Young. A special thank you goes to her ray of sunshine, Carrie Owens. 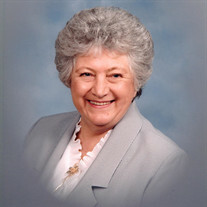 In lieu of flowers, donations may be sent to Fall Branch United Methodist Church Cemetery Fund, c/o Jean Dawson. The family will receive friends on Sunday from 1:00 to 3:00 p.m. at Hamlett-Dobson Funeral Home, Fall Branch. The service will follow at 3:00 p.m. with Rev. Barry Lane officiating. Burial will follow at Fall Branch United Methodist Church Cemetery with family members serving as pallbearers.